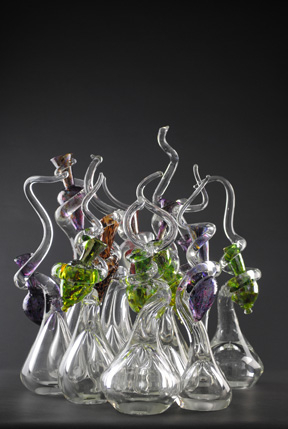 Started working in glass in 1987 at Palomar College in San Marcos, CA. After delving into everything from cabinetry to event production to yacht construction and repair, Dawson R. Kellogg enrolled at Palomar College in the San Diego area in the late 80’s, and stumbled into a glass and ceramics lab. He received his associate’s degree in Art from there, then a B.A. in Art Education from San Francisco State University, in 1993. A full scholarship offer from Kent State University secured his MFA studies and graduation in 1997; along the way he received three Pilchuck Partners scholarships. 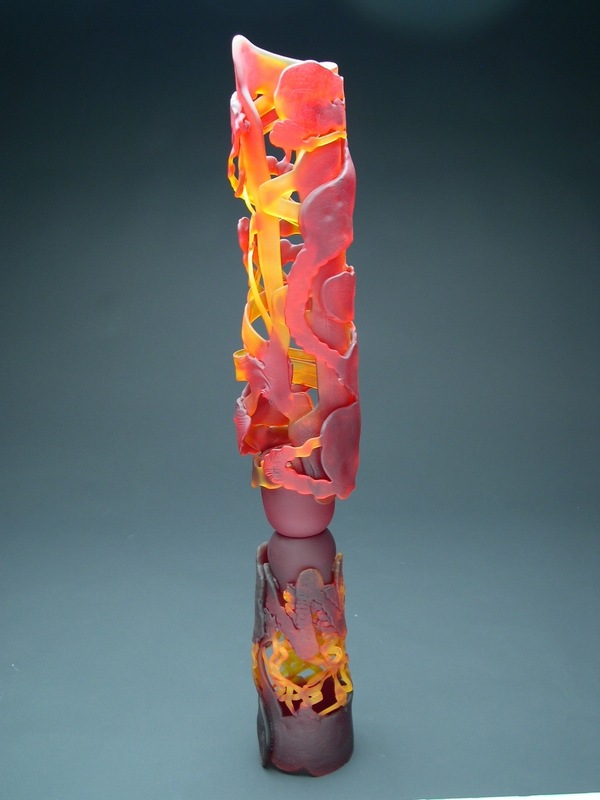 This fall Dawson begins his 15th year of service as the sole glass faculty of the Columbus College of Art & Design, where he teaches and manages the Fine Arts glass program.